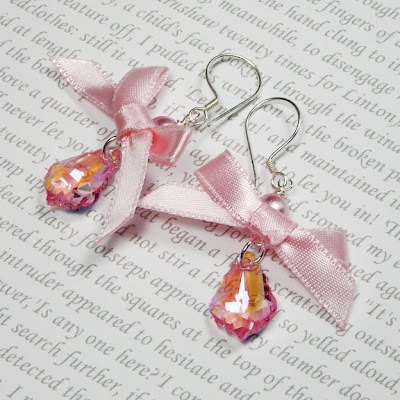 I've been meaning to have one for a while, I've made these super cute 'Sweetness' earrings with Swarovski crystal, sweet satin ribbon and sterling silver. I am giving them away! 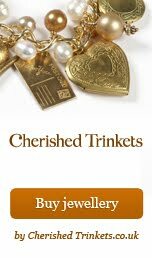 All you have to do is email me at sales@cherishedtrinkets.co.uk with the title 'Earrings!' Please include your full name in the email. You're name will go into a draw. I will do the draw (out of a hat) and announce the winner next Sunday at 7.00pm here on my blog. Everybody is invited to enter so what are you waiting for? !